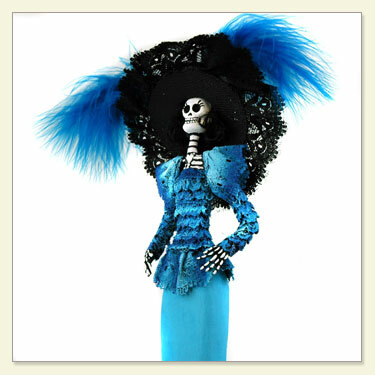 This hand-painted and finely detailed Catrina figurine is made from clay, paper maché and cloth. 13" tall and 4" wide. 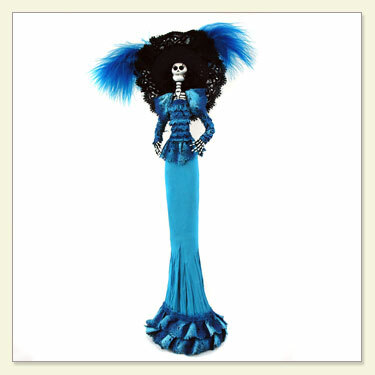 This doll has sold out and we believe that the artist is out of business.